Tucked away between Stamford and Peterborough lies the village of Helpston, the home of John Clare (1793-1864). 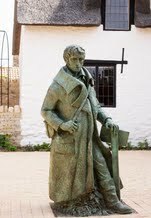 Widely regarded as one of the greatest of the English poets, John Clare lived in the village for his first forty years from 1793 until 1832. The John Clare Trust purchased John Clare Cottage in 2005, preserving it for future generations. 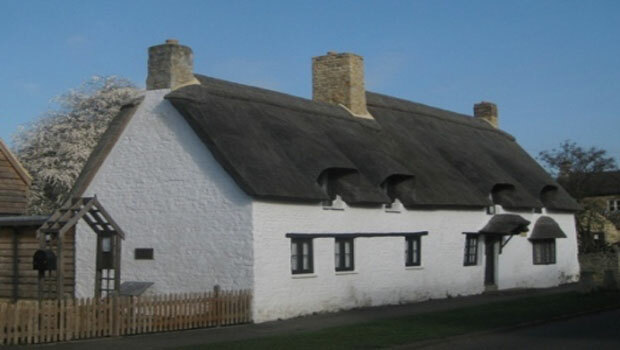 The Cottage has been restored, using traditional building methods, to create a centre where people can learn about John Clare, his works, how rural people lived in the early 19th century and also gain an understanding of the environment. The Cottage contains examples of his work together with information about his life. Some of the rooms have been returned to the style that would have been found in cottages in the early 19th century in rural England. The gardens have been redesigned and planted with varieties which would have been seen in Clare’s time. The Cottage shop is the perfect place to buy a memento of your visit - we specialise in John Clare books and local art and craft items. Why not relax in our lovely cafe and try one of our homemade soups, daily specials, or one of our selection of Clare's cakes. All cakes and light bites on our menu are made on the premises. Special Notice for Visitors . The John Clare Trust is an independent charity . Please support us to help maintain the facilities and develop educational programs.